This opening song (which has an interesting background story) took me by surprise twice. 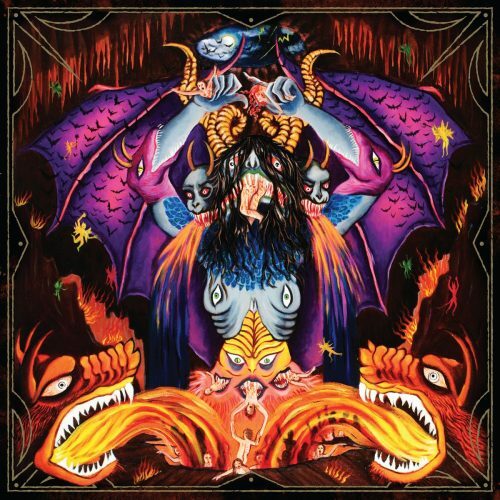 First, I had no idea it was coming when it surfaced to considerable fanfare five days ago; it comes a long five years after 1349‘s last album (Massive Cauldron of Chaos). And second, the music itself is a surprise. 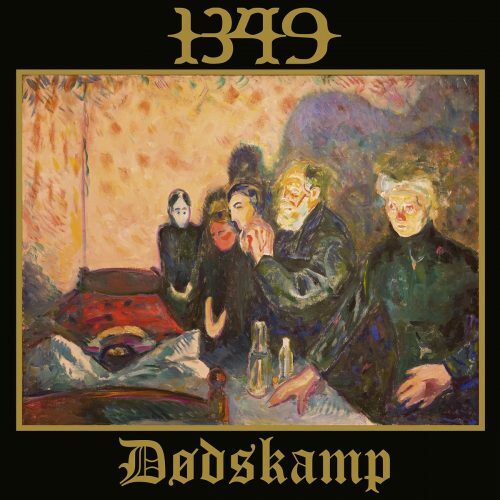 The name of the song is “Dødskamp“, and it was created as 1349‘s response to a challenge issued to four very different musical groups by the Munch Museum (in conjunction with Innovasjon Norge and Visit Norway). The request was for each artist to give their musical interpretation of a work by the famed Norwegian artist Evdard Munch that they were free to select on their own. 1349 chose Munch’s painting “Dødskamp”, and hence the song bears the same name. The surprises in the music begin immediately, with an introductory passage that chimes and shines over the first signs of unpredictable performances by bassist Seidemann and drummer Frost who by themselves make the song worth listening to again as soon as it ends (which of course is what I did). The music does become a lot darker and more frenzied as soon as Ravn‘s tremendously vicious snarls enter the frame, and more lingering melodies convey an authentic sense of tension and desolation. It’s an intricate and intense track in which Archaon‘s own musical brushstrokes create a thoroughly absorbing interpretation of Munch‘s canvas. Maybe for their next album 1349 should compose exclusively from the works of Munch. I’d be down for that. “Dødskamp” will be released by Season of Mist on vinyl (and digitally), with a bonus track consisting a live performance of “Atomic Chapel“. The release date is April 5th. Some further background info about 1349‘s participation in the Munch challenge can be found in a brief video (here) at the Visit Norway site. This next song straight up rips, and given the source, I wasn’t surprised. The song’s name is “Sunset Glow“, which is kind of a contemplative and even dreamy title, and though the song does prove to be mesmerizing in its own way, it mainly felt like someone had jammed a live power line right into my brain stem. Man, that felt good. 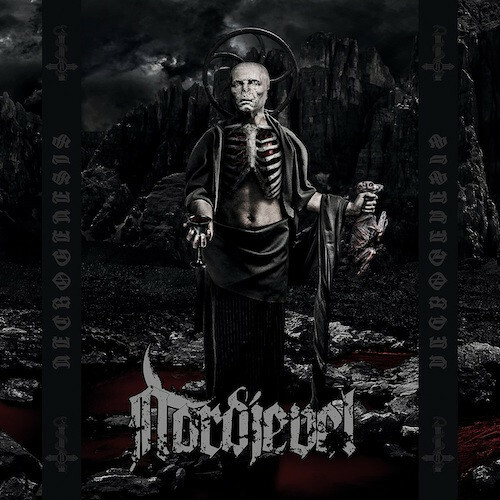 The track comes from Necrogenesis, the second album by the Norwegian band Nordjevel, which will be released by Osmose Productions on March 29. Doedsadmiral still leads the band, and bassist DzeptiCunt (ex-Ragnarok) is still on board, but since the release of the first album, drummer Dominator (ex-Dark Funeral) and guitarist Destructhor (ex-Morbid Angel, Myrkskog) have joined as permanent members. By comparison to the debut album, Doedsadmiral says the new one is “a much darker and violent album”, and “Sunset Glow” bears that out. The music is an all-out, high-speed, blood-boiling assault — and it’s also a swaggering and thrusting semblance of unshakable arrogance. Fiery and grim, with riffs that burn like an ecstatically leaping bonfire and also become cold and cruel (and highly headbangable), the music is gripping all the way through (and Doedsadmiral‘s vocals are as tyrannically savage and sadistic as the rest of the music). Below you’ll find the video for the song, which includes footage of the band’s 2018 appearance at the December Darkness Festival in Sweden. Satan Spits on Children of Light tells you something about where Philadelphia’s Devil Master are coming from. That’s the name of their debut album on Relapse Records, which is set for release on March 1st. 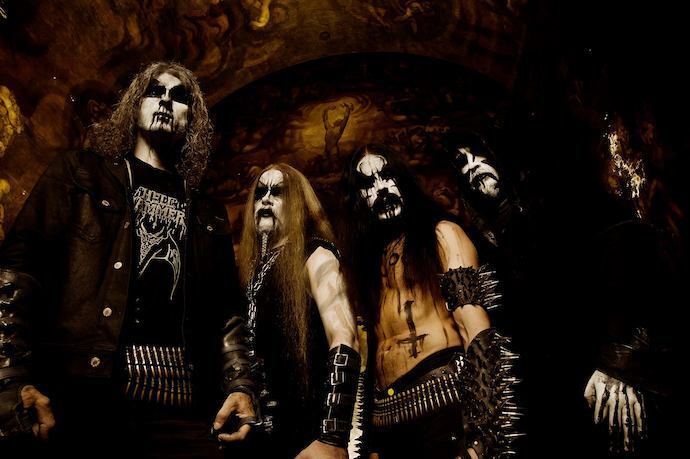 As a further clue, the PR material for the album alleges that it “commands the steel of Venom, the fury of Bathory’s earliest years, and the raw, uncompromising nature of the notorious GISM“. The first advance track from the album, “Desperate Shadow“, is a lot of hellraising fun. The array of riffs and swirling leads in the opening minutes of the song are… well, they’re glorious. And about two minutes in, when the rhythm changes, they made me think of the wild skirl of bagpipes driving a whirling dance of witches around a great bonfire as the vicious snarls of the Devil drive them on (the vocals here really are nasty). I’m suddenly very anxious to check out the rest of the album. 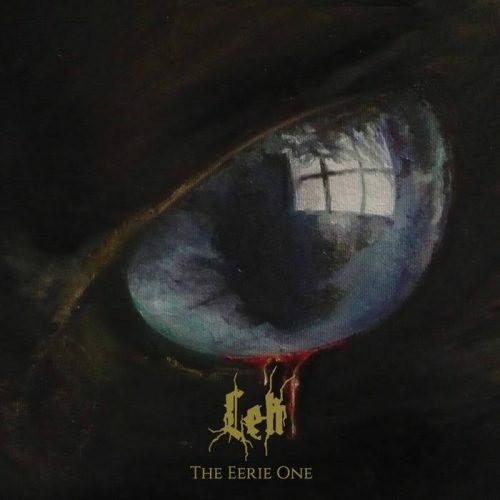 I don’t think I’ve previously encountered the music of the Polish black metal band Lęk (whose name is the Polish word for “anxiety”), although their discography includes two albums (2014’s Sweven and 2017’s Shadows of Black Souls). They’re now following those full-length releases with an EP named The Eerie One, which will be released on February 2nd. “Forgotten Lakes” is the first song from the EP made available for listening, and it’s my last recommendation in Part 1 of today’s column. The song races, with a lot of compulsive physicality in the work of the rhythm section, and rampant barbarism in the vocals. It’s an irresistibly head-moving track, even when the band briefly take their foot off the gas, and there’s a ton of emotional power in the scintillating leads (which brought to mind the dervish-like whir of a balalaika), and in the wonderful guitar solo. Lęk manage to add a shadow of yearning, and even melancholy, to a song that makes you feel like your heart is going to burst through your chest, and that achievement is also worth a round of applause. Holy crap that Nordjevel song is a true face-melter! It’s just ridiculously explosive! And it rocks hard too. You need to get on that sophomore Lęk album. It is brilliant.